Register .BE Domain Name Today! .BE is the Internet country code top-level domain (ccTLD) for Belgium. The domain became active in 1989. 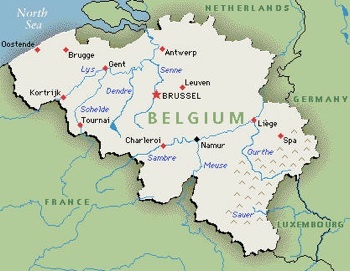 Belgium is a country whose metropolitan territory is located in Western Europe, bordering the North Sea, between France and the Netherlands. The country covers 11,786.93 square miles. Why should I register a .BE domain name? The .BE domain is extremely popular in Belgium and most of it's use is by entities connected with this country. The .be domain name presents a great opportunity for local and international companies wanting to represent their business in Belgium. By registering a .be domain name, your company can provide relevant and localised information about your product and services. If your company is looking to gain or has already attained a presence in Belgium, owning a .BE domain should be part of your business plan. Registering a .BE domain is the perfect way to show your business is localized in Belgium. Having a .BE extension demonstrates your company's loyalty to local markets, while maintaining your professional image. There are no restrictions for registering a top level .BE domain. Registration for these domains is open to anyone, similar to .COM, .NET, or .ORG.